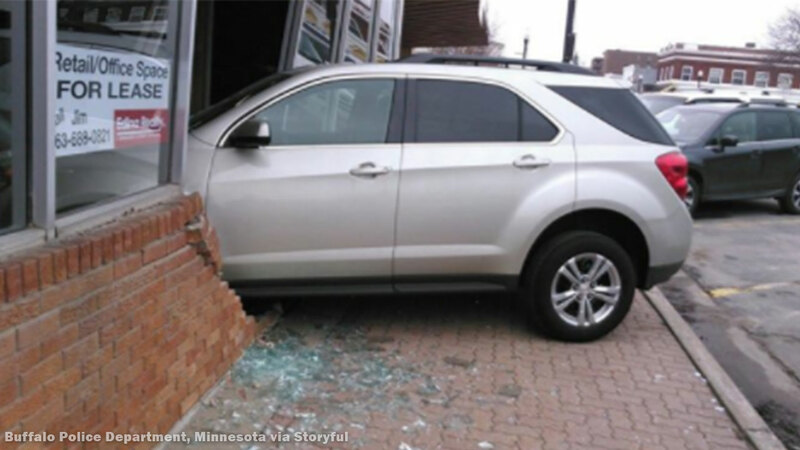 A teenager in Buffalo, Minnesota drove her car into a building while taking her driving test. BUFFALO, Minn. (WPVI) -- A teenager in Buffalo, Minnesota drove her car into a building while taking her driving test. The 17-year-old girl put her car into drive instead of reverse when she accelerated forward over a curb and into the building that houses the exam office. The girl's driving instructor was taken to the hospital with non-life threatening injuries. The driver was able to escape without harm, and luckily, no one in the building was injured. The Buffalo Police Department shared a photo of the crash scene to Facebook. The photo shows a Chevy Equinox SUV with its front end through the wall of the building. Police say no charges have been filed against the driver over the crash. It is not clear if the incident resulted in a failing grade for her exam.